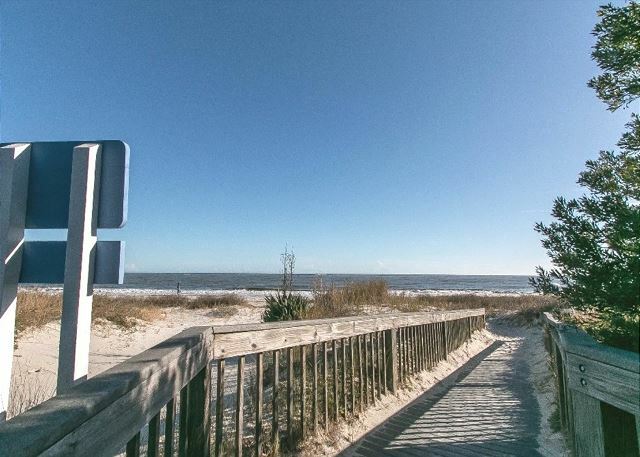 Real Escapes Properties is proud to offer this two bedroom, two bathroom North Breakers residence on St. Simons Island. 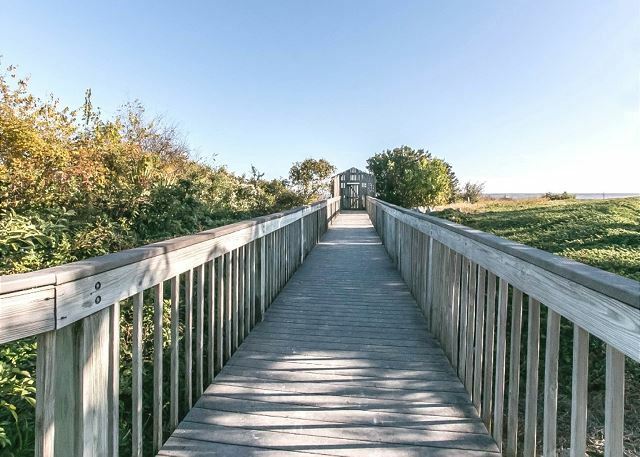 North Breakers is located on the desirable stretch of beach that is accessible at all tides featuring a secured gated entrance, swimming pool, hot tub and covered parking. 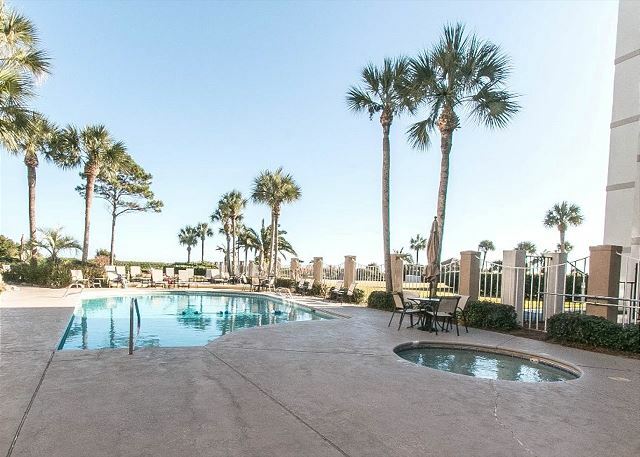 North Breakers 509 is located on the top floor and offers commanding views of the Atlantic Ocean and the famous East Beach/ Coast Guard Station of Saint Simons Island. View spectacular sunrises from the large balcony and living area where an entire mirrored wall reflects a panorama of the ocean and costal scenery. 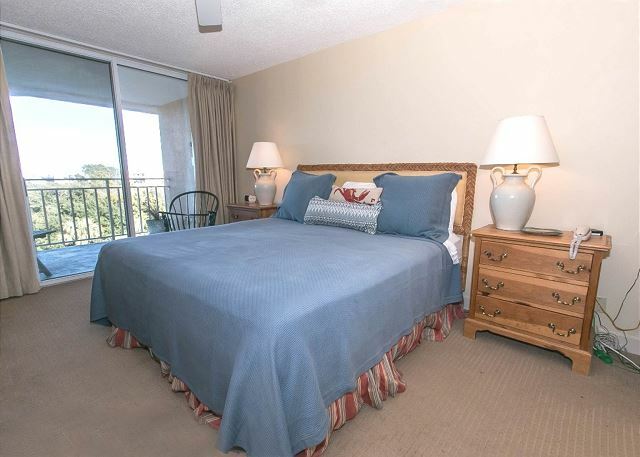 This tastefully decorated unit has an open kitchen/dining and living room. The master bedroom a king bed and a nice master en suite. Sliding doors in the master offer access to the spacious patio. Includes sleeper sofa and two full baths. Linens provided. North Breakers is a gated community featuring its own boardwalk to the beach, oceanfront pool, kiddie pool, hot tub, and Wireless Internet. 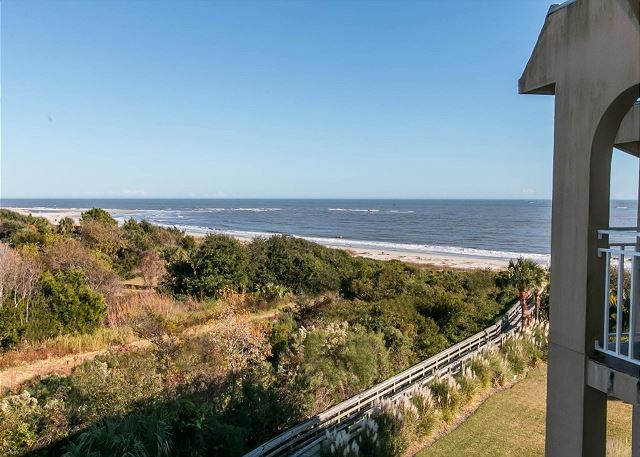 The best parts of this condo are the view and the closeness to the beach. The porch faces the morning sun so it’s a great place to view the beach in the morning with your coffee. And all day. 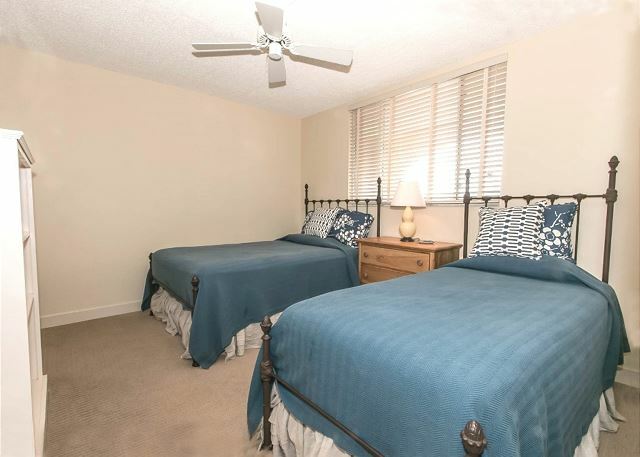 The less than ideal is that the condo is dated and furniture and beds are older, less comfortable. Great Escapes was responsive when we needed something.